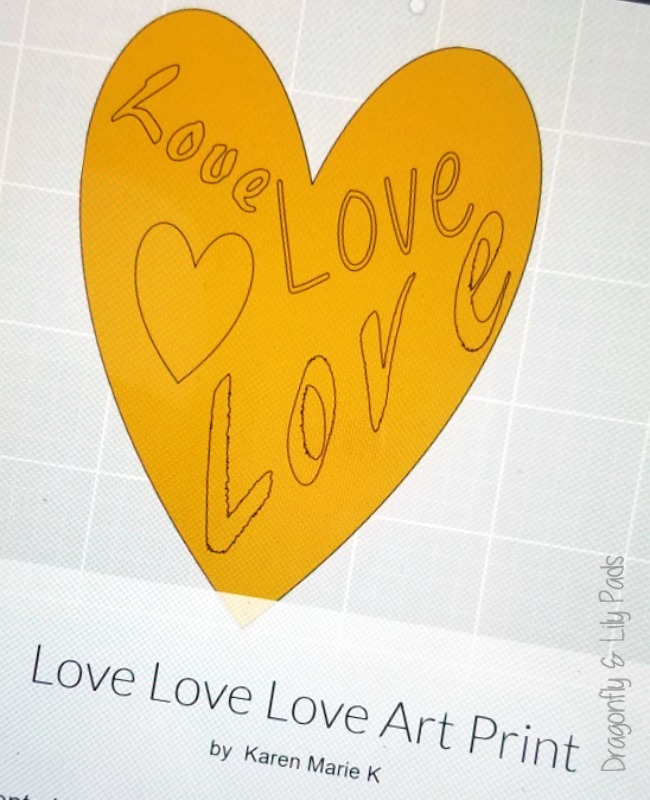 Darlings we are marching into the Create with Cricut Challenge. 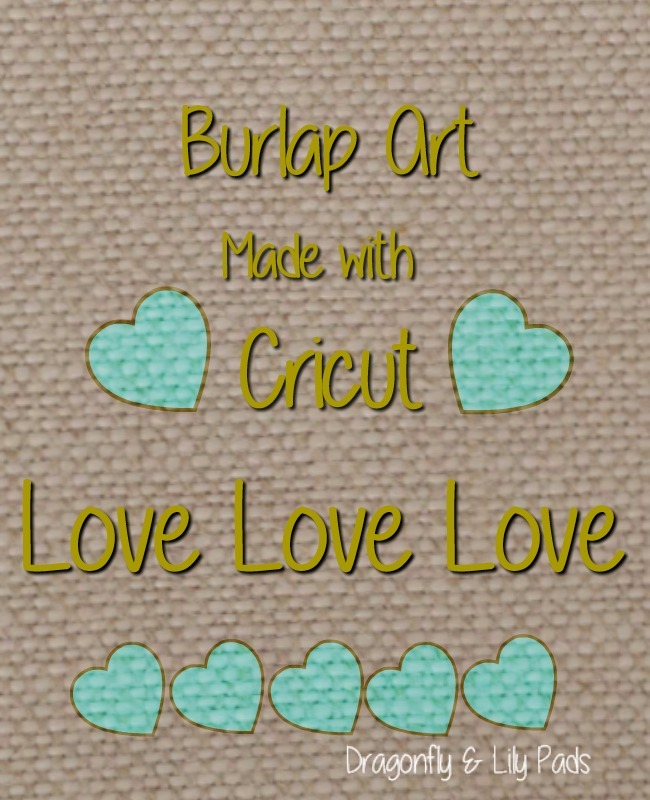 It's Burlap month! You may have noticed I have love on my mind this year. Since we are planning two weddings with in ten months of each other you may actually consider calling me a wedding planner. HaHa! The inspiration for my burlap art is a combination of two of my thoughts colliding. First I have the song, 🎝All You Need is Love, 🎝 by The Beatles humming in my head. Second matte gold is N & J accent metal color for their wedding. I apologize ahead for the song now being stuck in your head or the matte gold buying spree. 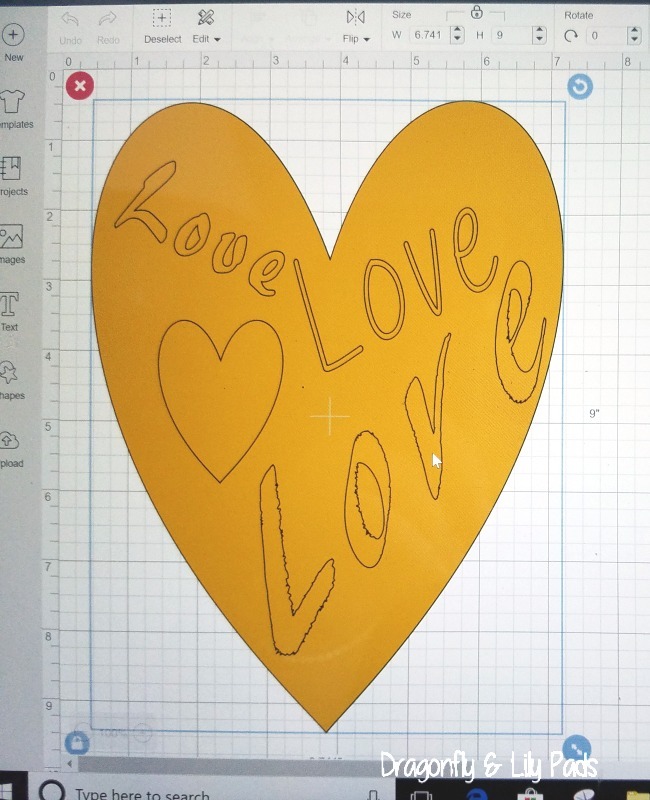 This design is simple using the Heart Shape, Three Fonts scattered on the heart and an extra heart thrown in for fun. Once you have the design sorted out measure your burlap to decide the size of your design. 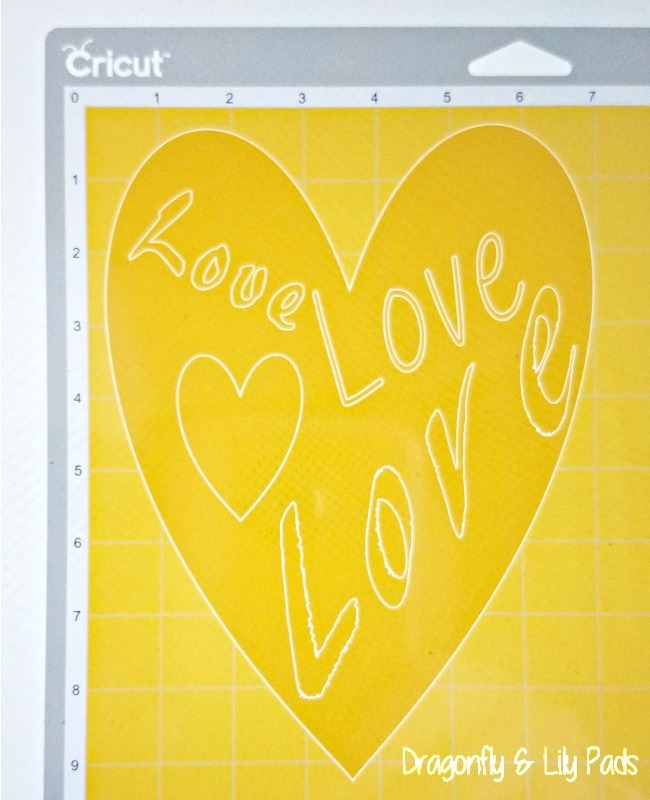 Use the measurement grid on the side of the canvas. No mirror image for this design is needed. 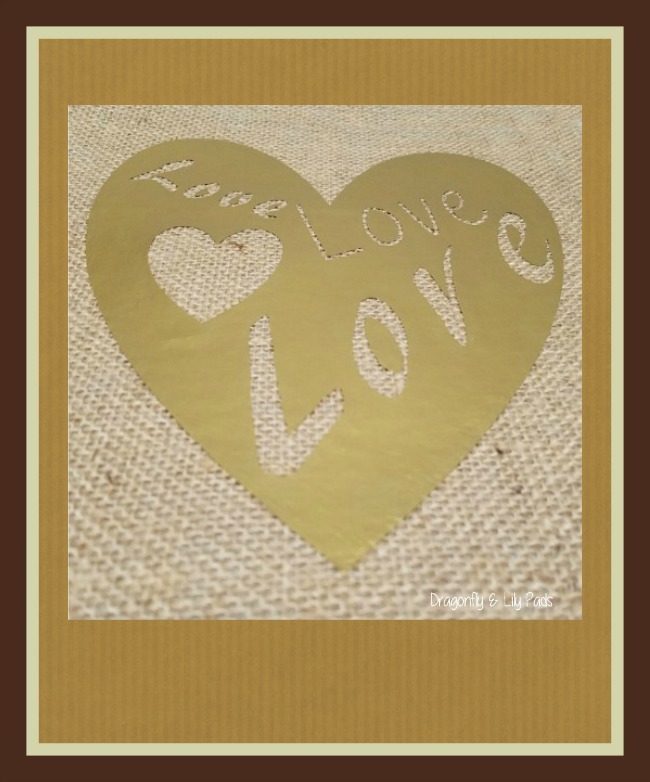 This is a mock up of how the burlap art, Love Love Love will look when it is finished getting framed. Unfortunately it is not back in time for the post but, as soon as it gets here I will update the picture. It will be cool to see how well I did with the graphics. Love Love Love it Pin It!